Scientists working on wheat research have discovered a combination of genes that provide resistance to the significant fungal disease Stagonospora nodorum blotch (SNB) in Western Australian varieties. 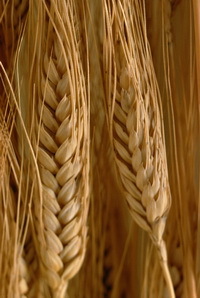 SNB costs Western Australian growers about $108 million per year due to leaf death and reduced grain fill – particularly in high rainfall areas and wet years. Senior research officer Michael Francki said "We have found two or three genes from different wheat donors, when crossed with Australian lines and selected using DNA markers, expressed good levels of resistance to SNB at Northam and Katanning," he said. He added that if all goes well, new varieties with improved SNB resistance could be included in National Variety Trials in four or five years' time. For more, read the news release from the Department of Primary Industries and Regional Development.